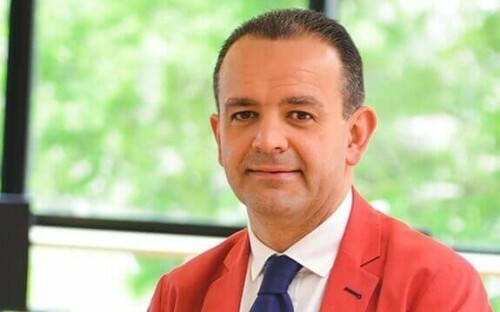 Vincenzo Esposito Vinzi is dean of ESSEC Business School in France. One of the Grandes Écoles—elite institutions that count many of France’s top leaders among their alumni—ESSEC is a highly-rated business school. He is several months into the top job at ESSEC. Previously, the doctor of computational statistics served as president of various top statistics groups and won teaching awards. BusinessBecause caught up with Vincenzo to find out more about the big trends impacting business education and his school—from digital technology to global expansion. What impact is digital technology having on the business school? A challenge is the role of digital technology in education and in research; it’s impact on the way we teach, on the way we communicate and on the relationships we have with companies. Digital is a tool for pedagogy. Everything is moving to a blend of digital and physical learning. Digital will have a much larger and more significant impact in the classroom. I'm quite sure that digital will never replace the human being and the professor in the classroom. But it can help the professor to be to be more effective and more efficient in the way he or she teaches. For instance VR: the idea of having digital classes that can compare to the physical campuses. Digital can also be used to go beyond the pedagogically to provide services to students and alumni via a digital platform. You can nurture relationships with alumni and their companies, and understand their needs better if you communicate more regularly, and that can be done in digital channels. Now there is a need to use data, for instance artificial intelligence algorithms, to help get insights from the data we collect on alumni and companies. Of course this requires investment, but I believe a top tier business school needs to consider these emerging technologies and their potential impact. But where digital struggles is in going beyond the technical skills, where there is a need for the sharing of experience. Working tougher in groups, solving cases for which you don’t have a preconceived recipe to use to solve a problem. The collaboration between human beings, the networking, these elements will never be replaced by digital tools. What are ESSEC’s growth opportunities? ESSEC was founded on a pioneering spirit in 1907. What I see as an opportunity is trying to blend a little bit of our uniqueness with modern development. For instance, we have been developing our international presence, building our own campuses in Singapore and in Africa. That is quite distinctive. We are trying to have a global strategy but also want to be able to adapt our strategy to fit the climate of the regions where we are physically present. We want to be one school, one brain, one level of quality, across four different campuses. Another area of growth could come from China. The Chinese have started being interested by our presence in Africa. The Chinese are making a lot of investments in Africa. They're very much interested eventually in education in the country, so there is a link between our campuses across Asia. On our African campus, we already teach Chinese as a foreign language. The challenge is to integrate all three global campuses into the one ESSEC brand. But this is complicated because what defines an international school in our view is being locally-integrated into the continent. We need to blend a little bit the local language into our teaching across the campuses. We need to answer to local needs in order to really become integrated economic partners in the regions and have a social impact. There are different ways of doing business in Europe compared with in Asia or in Africa. For example, there is more of a need for entrepreneurship in Africa, but the way entrepreneurship is promoted differs; different countries need companies in different domains to answer the needs of the local market. Some are linked more with social innovation, others focus on digital technology.